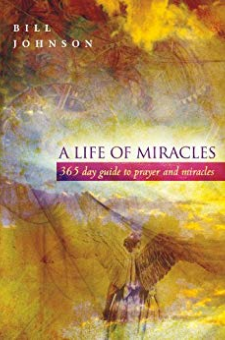 Combining the most inspiring of three best-selling books, this 365-day guide to prayer and miracles feeds you daily manna from Heaven. Your spirit will be enlightened and your soul strengthened as you face each day's glories and glooms. You are the God who performs miracles; You display your power among the peoples (Psalm 77:14). The best from The Supernatural Power of a Transformed Mind, Dreaming With God, and When Heaven Invades Earth gives you the power to daily walk out of religious boundaries toward your Christian inheritance of healing, signs and wonders, and infinite possibilities. You can experience A Life of Miracles one beautiful day at a time!